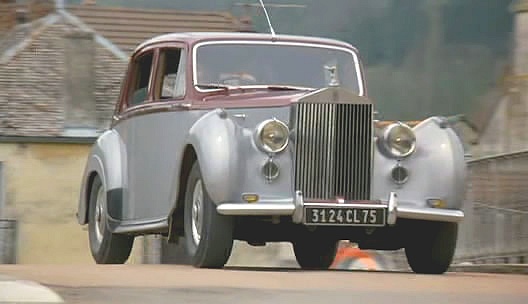 IMCDb.org: Bentley R-Type Standard Saloon as Rolls Royce Silver Dawn in "La carapate, 1978"
I think thats 5 stars vehicle. Theres smuggling stuff in it all around. Excuse me, but is it a real one? Something about the car in the main pic irratates me, but I guess I'm wrong. 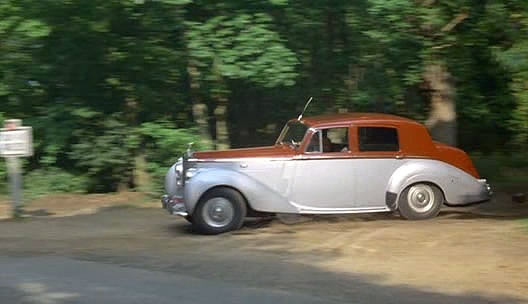 Those in doubt are right This is a Bentley R-type Standard Saloon masquerading as a Silver Dawn Rolls Royce. 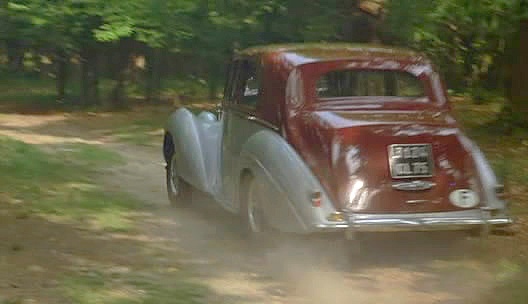 Tell tales are: the side of the bonnet is not one sheet but cut in two as with the Bentley, the car has the slimmer Bentley front bumper, and lacks the two foglamps. A Bentley would have had one single lamp in front of the radiator.